Create a luxurious centerpiece for your bathing area with the Stargaze freestanding bath. Made for deep soaking and relaxation, the ergonomic design provides lumbar support at both ends, so you can stretch out in full comfort. With its crisp, clean lines and straight shroud, this versatile bath complements a wide range of bathroom styles and offers easy three-step installation. Freestanding design creates a striking focal point in your bathing area. Sloped lumbar support on both ends. 17-inch bathing depth offers a deep soaking experience. Wide deck along one side simplifies faucet installation and provides support for getting in and out of bath. Bring dramatic design and functional elegance to the bathroom with a ProFlex(R) bath. This spacious 6' model offers high-quality acrylic construction for durability and luster, and includes an integral tile flange to simplify installation and prevent behind-the-wall water damage. This model features a left-hand drain. Also available in store by special order only see store for details. 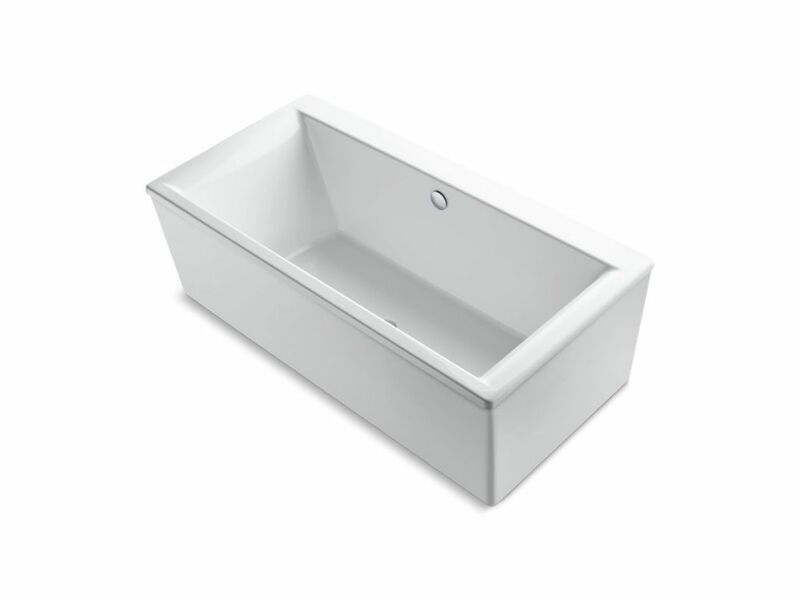 This ProFlex<sup></sup> bath offers an economical yet spacious design perfect for two-person bathing. The smooth finish of the high-gloss acrylic is easy to clean and resists chipping and cracking, and the tile flange simplifies installation and prevents the possibility of water damage behind the wall. This bath is designed for three-wall alcove installations and bath-mount faucets. Also available in store by special order only see store for details. ProFlex(R) baths feature an economical yet spacious design with a generous 78-gallon capacity to overflow, appropriate for two-person bathing. This unit is constructed of durable, high-gloss acrylic. Each bath is vacuum-moulded from sheets of acrylic and reinforced with fibreglass, making it strong and flex-resistant. The smooth finish is easy to clean and resists chipping and cracking. This model is for drop-in installation. Also available in store by special order only see store for details. Feel the embrace and surround yourself with a cushion of bubbles in the contemporary Escale bath. Airjets release thousands of bubbles to massage your body at the level of intensity you prefer, helping to center your mind and release tension in your muscles. With a 6-foot length and 36-inch width, the grandly scaled freestanding bath offers extra room to unwind and enjoy a massaging air bath. Stargaze 6 ft. Center Drain Bathtub With Straight Shroud In White Create a luxurious centerpiece for your bathing area with the Stargaze freestanding bath. Made for deep soaking and relaxation, the ergonomic design provides lumbar support at both ends, so you can stretch out in full comfort. With its crisp, clean lines and straight shroud, this versatile bath complements a wide range of bathroom styles and offers easy three-step installation.